There are many scary movies out there, but few captivate their audience to a degree that they become their own franchise. That’s because few movies are as iconic as Alien. I can’t remember ever seeing the entire first movie until 6 years ago, but I already knew most of its iconic scenes. That chestburster scene must have been spoofed to death by now (get it? ), and it even pops up in Spaceballs. Everyone gets it, right? Well, my wife had never seen it until I showed her the movie some time back. A move that borderlines criminal as strong female-led movies and cats are her bag. 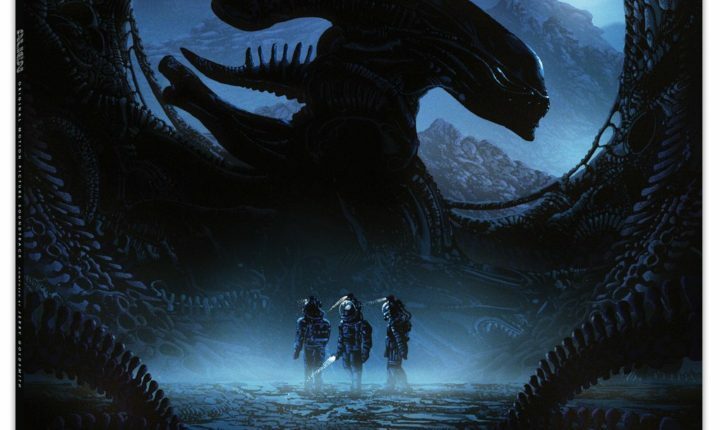 Alien is a movie that spawned (get it?) many reiterations, good or bad, and that everyone should see and have in their mental reference bookcase. And hearing this movie? Well, it’s hard to argue that it most definitely adds to just how suspenseful and scary of an experience this can be. With the ubiquity of composers like Has Zimmerman and John Williams, I believe composer Jerry Goldsmith might not be as well-known as he should be. Sure, he’s had some clunkers in his lifetime (earning him some Razzie nominations), but his career commands respect, and Alien is a perfect example of what the man can do. To say that his Alien soundtrack is a great fit for the movie is to put it mildly. Goldsmith’s composition slithers, grows, pulses, and develops to a menacing degree throughout the movie, much like an actual (?) xenomorph. The calm sounds at the beginning turn into threatening, suspenseful, and downright scary numbers with techniques that actually serve as perfect sound effects for the Alien creature. You can hear it oozing through the crevices, chasing its victims, and making its kill all in the music alone. I am most definitely intrigued by the strange instruments Goldsmith must have used to accomplish effect. It’s really a shame more soundtracks aren’t as skillfully crafted as this one. 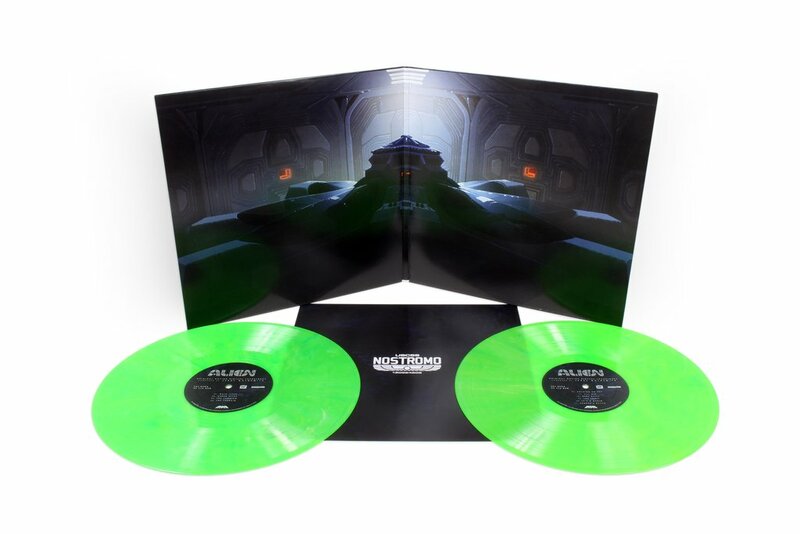 Mondo’s fans have been waiting a long time for this one, as pressing delays pushed the release date even further. But the waiting is damn sure worth it. A proper release of this soundtrack has been due for a while and no one can handle them better than Mondo. 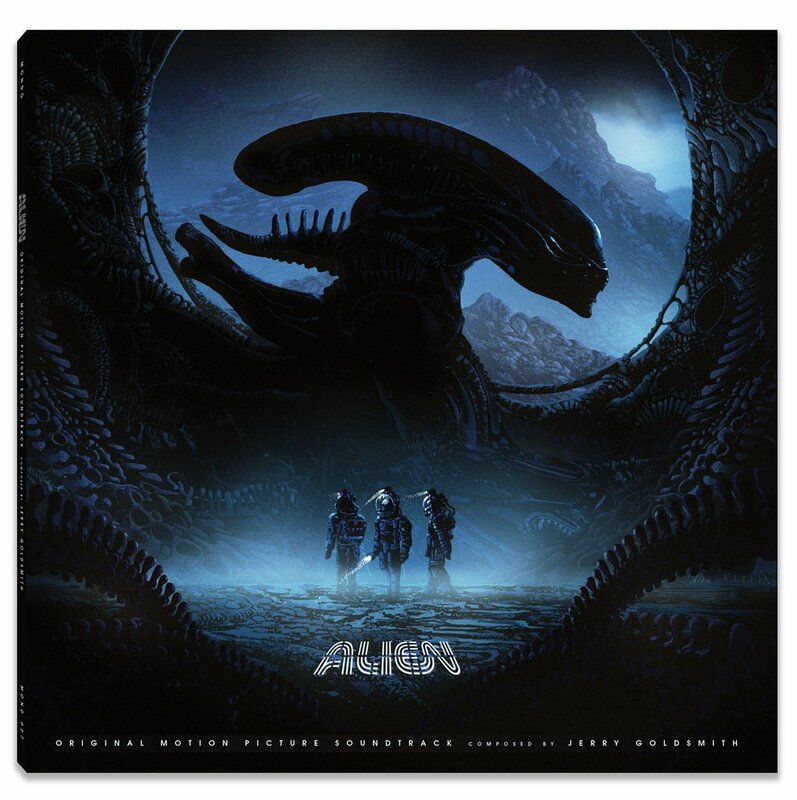 Alien is pressed on double acid green 180g vinyl records, all housed in a gatefold sleeve, with both a hefty look and a feel. Although the original art would have been great to rerelease for this album, they have provided us with some very compelling artwork to accompany it nonetheless. I would have liked to see some of Jonesy in it, though. This time, believe the hype. This soundtrack is essential for fans of the format.